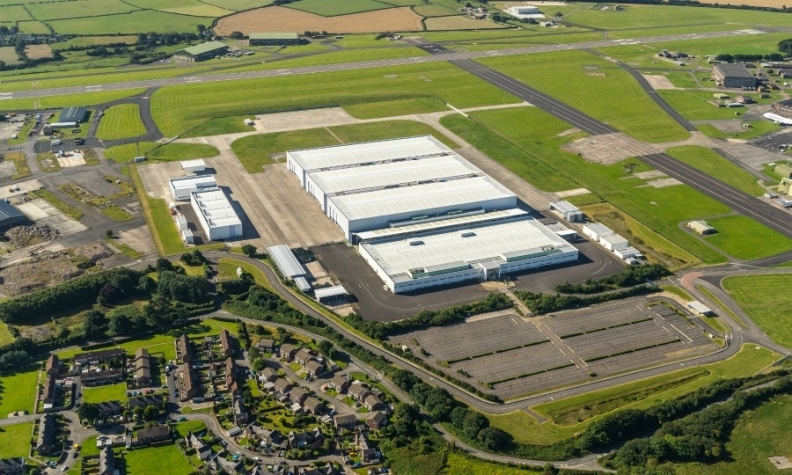 Aston Martin will build its new SUV at a former air-force base in the UK. The U.S. state of Alabama finally lost out to the UK as the site of Aston Martin's new SUV factory after the automaker decided not to build the new model on a Mercedes SUV platform, Andy Palmer, Aston Martin's CEO, told me at the Geneva auto show. Last year Palmer described the southern U.S. state as the "obvious choice" for its proximity to the factory where Aston collaborator Daimler builds Mercedes SUVs such as the GLE. "Had we decided to go with an OEM platform, I don’t think we would have ended up with Wales," Palmer said. Instead, Aston Martin will build the car based on its DBX concept on a bonded aluminum platform similar to that underpinning the new DB11. Palmer was quick to deny accusations that Aston had never intended to build the DBX-based SUV outside the UK. "It was a genuine contest, it wasn’t foregone conclusion. For example, Macedonia got right to the penalty shoot-out because their offer was very very good," he said. The eastern European country was one of 20 possible locations Aston Martin considered before settling on the village of St. Athan in South Wales, 209km (130 miles) from its HQ and factory in Gaydon, England. Palmer said Wales didn't offer the biggest financial incentive to locate there, without saying what the incentive was. Its appeal was partly because the factory will be sited in an old aircraft hangar. "Where Wales won was because we didn't have to level the land, didn't have to build the building, and I had a supply base in the UK I know."